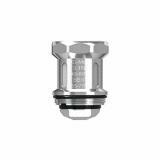 The Ample Amp-X Mesh Coil 3pcs is designed for Ample Amp-X Subohm Tank. 3 pieces each pack. With X 0.15ohm, XE 0.15ohm and XD 0.15ohm coils for your seletion, you will enjoy powerful vaping. The XE-Mesh, X-Mesh and XD-Mesh adopt the mesh heating wires to expand the surface between heating element and e-liquid for original and pure flavor. With the combination of the new organic cotton, the XE-Mesh, X-Mesh and XD-Mesh make the e-liquid be vaped in layers, which can offer more delicate flavor. The XE-Mesh coil features a vortex rod for refined flavor, pressurization and safeguards from liquid projectiles and the XD-Mesh coil increase firing speed with tripod circuit coil. 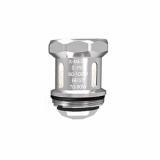 Just take the coil home and enjoy a smooth inhale and pure flavor. • It is for Ample Amp-X Subohm Tank. New coils using Notch coils technology. Seems vapers is always evolve and looking for the best vaping method in the market. 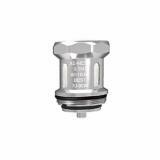 Ample Amp-X Mesh Coil is a coil with 3pcs/pack designed for Ample Amp-X Subohm Tank. 3 pieces each pack. 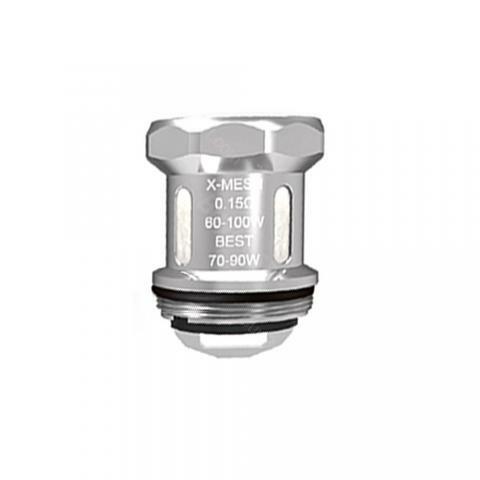 It comes with X 0.15ohm, XE 0.15ohm and XD 0.15ohm resistance.